Very strong and solid 1/2" diameter discs. 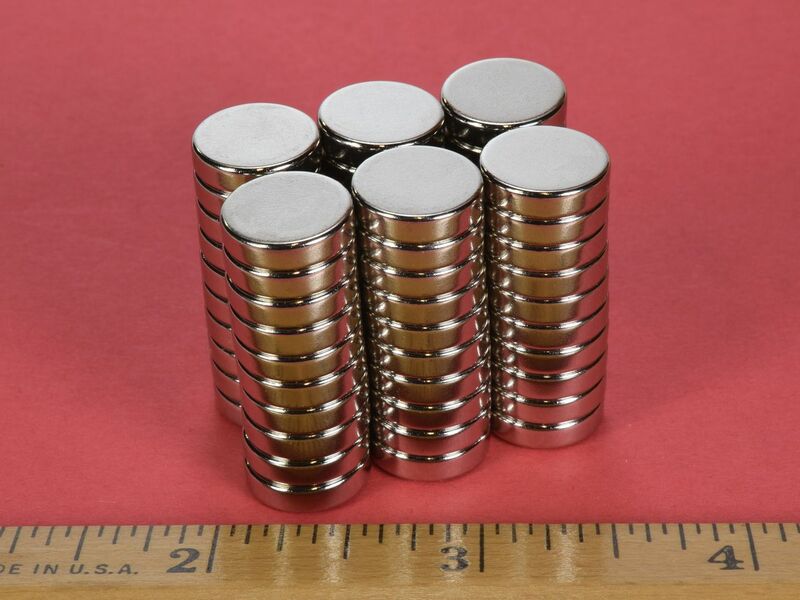 They are a great mid-sized general purpose magnet. 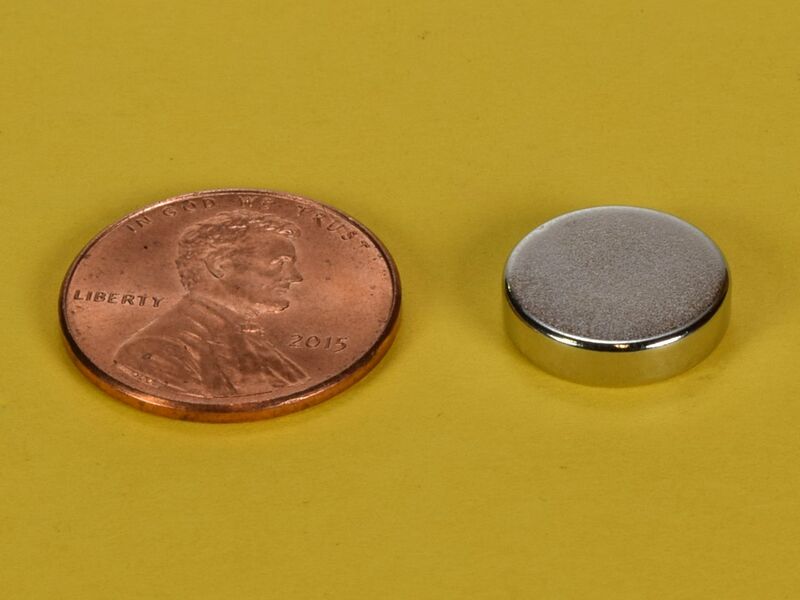 Good size for magnetic therapy, science experiments or serious fridge magnets. This size is also available in grade N52 as part number D82-N52, grade N52 with a Black Nickel finish as part number D82B-N52, in grade N42 with a Black Epoxy coating as part number D82E, diametrically magnetized in grade N42 as part number D82DIA , and in High Temp grade N42SH as part number D82SH.